We are excited to be revealing a BRAND NEW card from The Boomsday Project exclusively with Streamer Showdown. Check out this new Paladin card called Prismatic Lens. Let's take a quick look at this card in action here. This card is very dynamic with it's mechanics and immediately makes you think about card combinations. It's a draw engine that also manipulates the cost of the cards drawn. This is the type of card that requires you to build around to get optimal results. Let's take a look first at how good the card drawing mechanic is and then we'll dive into some possibilities with the mana cost swaps. 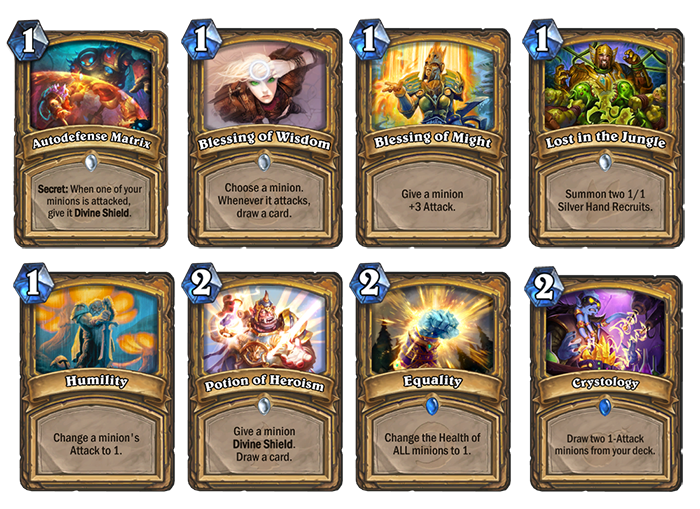 Card draw in the Paladin class has mostly revolved around Divine Favor in the last few expansions. The simplest thing to look at first is how this card compares to Divine Favor. According to our HSReplay.net stats for the last month, the average number of cards drawn by Divine Favor has been 3.5 cards. Because aggro Paladin decks have been the dominant deck for a few expansions now, Paladin players are playing their cards quick and successfully reloading quickly with Divine Favor. So in comparison, Divine Favor is still the best way to draw for those playing aggro. 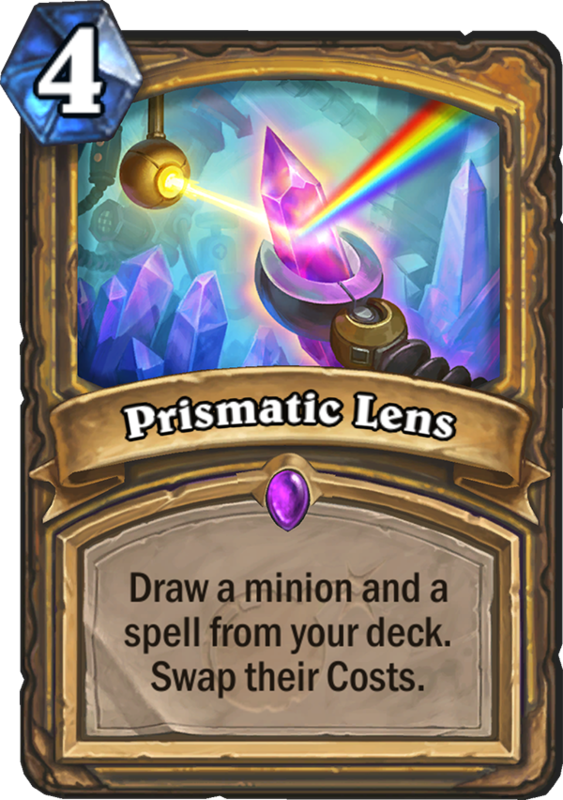 If the Paladin meta slows down a lot, we could see Prismatic Lens played since it's going to draw 2 cards consistently. Now let's talk about the most interesting part of this card which is the cost swap that occurs between the cards. With the nature of the cost swap mechanic, one card will benefit while one card is made worse. The degree of these changes will depend heavily on how the deck is built around it. Because there is already a cost of playing Prismatic Lens, you will need to get a pretty sizable benefit to one card to make it worth playing. There are 2 perspectives we will look at so we get a feel for the flavor of this swapping text. Either you want the discount on the minion OR you want the discount on the spell. Let's look at some examples where our goal is to get a discount on a minion. 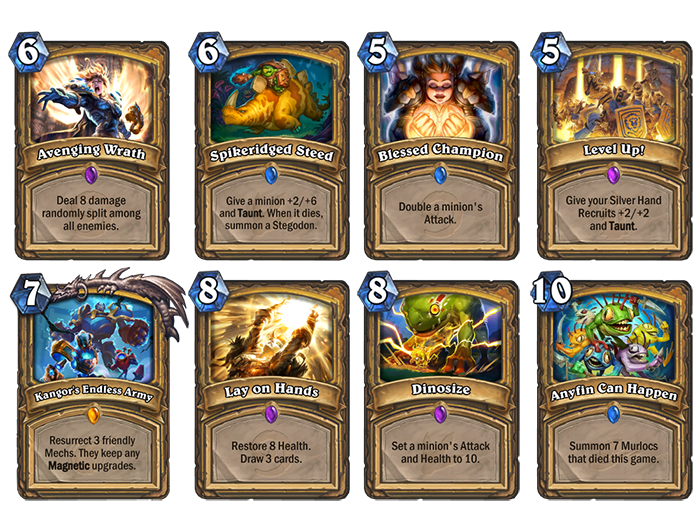 Here are some cheap Paladin spells with some high cost minions from the new expansion and recent history. It's very likely in this scenario that once the mana cost has swapped, you will not want to use the resulting expensive spell. So picking cheap spells that are not essential, but still useful when played normally will be the deck building challenge of this. The result though will be a close to free late game minion. 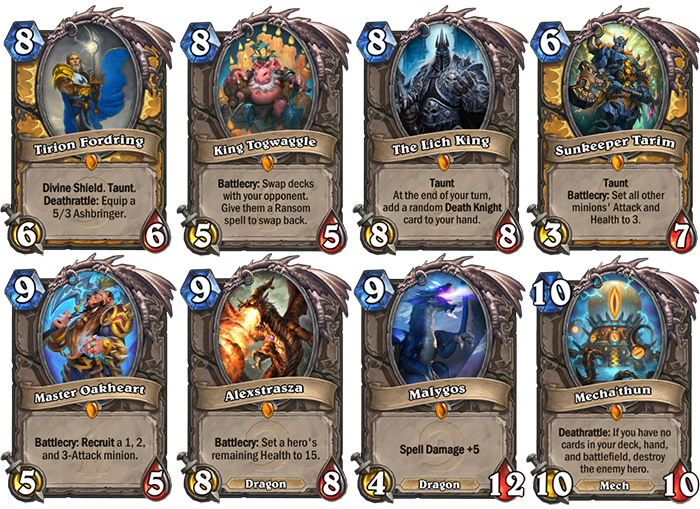 Who doesn't love a 1 mana Lich King or Sunkeeper Tarim. If Paladin get any kind of new damage spells, a cheap Malygos could create powerful new win condition. On the flip side, let's take a look at expensive Paladin spells matched up with cheap minions. With powerful decks we've seen in the recent meta like Odd Paladin having a lot of 1 drops, it wouldn't be too hard fitting this card in to get a cheap Dinosize or Level Up! for a finishing play down the road. Losing a small minion here isn't too expensive and worth the value gained by the discount to the spell. Another interesting combo is with Happy Ghoul since the increase in mana cost from the swap can be negated by the card's heal discount. Because of this, there's almost no penalty to this card. 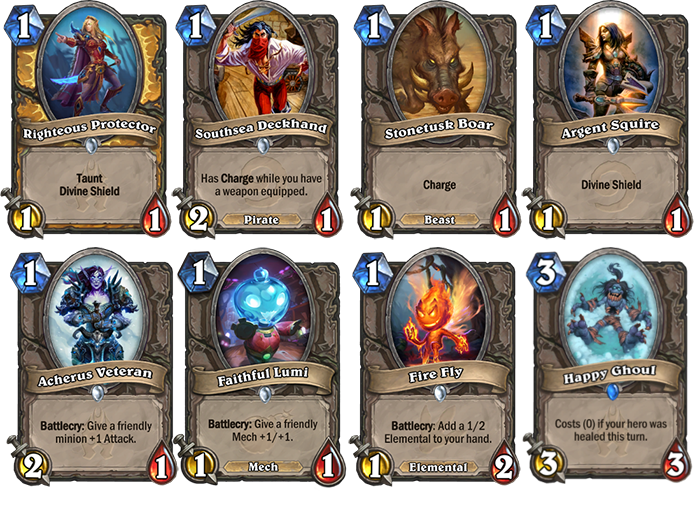 So when you put all of this together and you get 2 cards plus a possible big play, the 4 mana cost seems to be a fitting price for the value potential. There are a lot of interesting scenarios to think about with this card, but I wanted to get you started in exploring some ideas to build a deck that will fully utilize the effects of this card. A big thanks to Blizzard for giving us the opportunity to take part in our first card reveal. Be sure to check out our Meta page to figure out the best decks to play on Day 1 of The Boomsday Project expansion. In the meantime, have a good time finding combos with this card!